Edinburgh (Corstophine Hill) Cemetery contains 35 Commonwealth burials of the Second World War, mostly found in plots in the south-east corner. 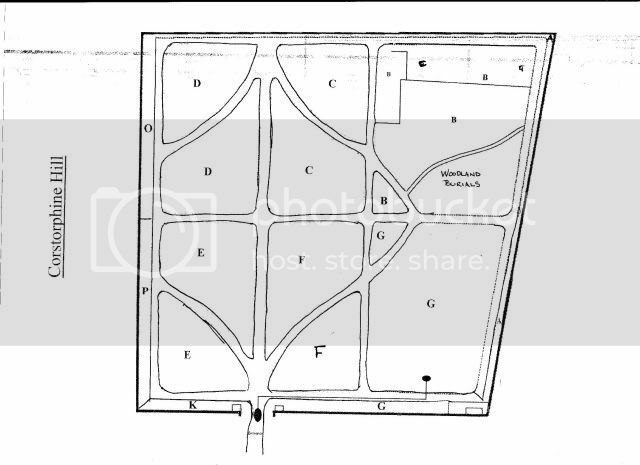 In Section B there is a separate plot for Polish service burials - one of the many Polish camps in Scotland was near Edinburgh - which contains 165 graves. There are also two war graves of other nationalities and 39 post war service burials within the cemetery. It is accesses along a driveway at the side of a house. 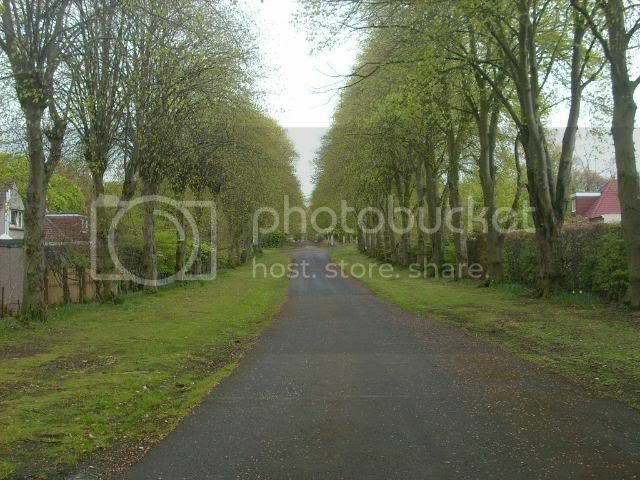 You continue along, past the garages till, at the end of the drive it opens up into the Cemetery. 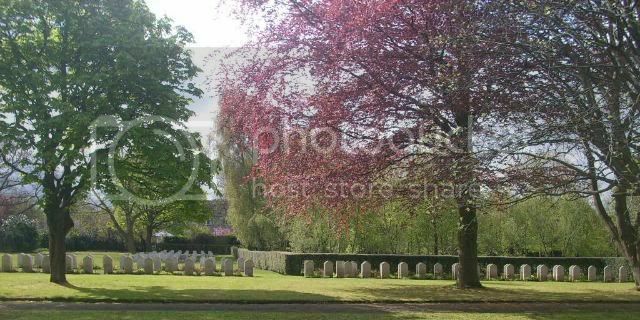 The areas where most of the CWGC stones are is Sections B and G, at the far right hand corner of the Cemetery, beyond the Woodland Burial Area. 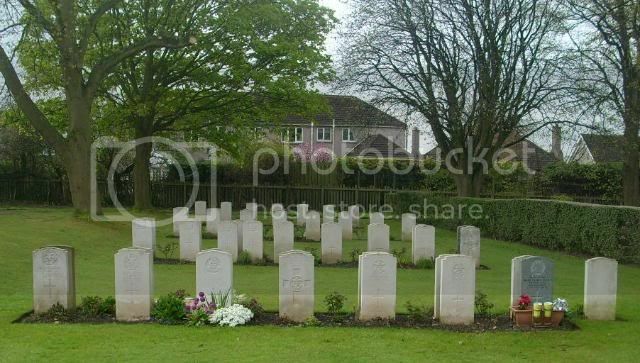 The CWGC stones you see at the front of this picture are the Polish stones. 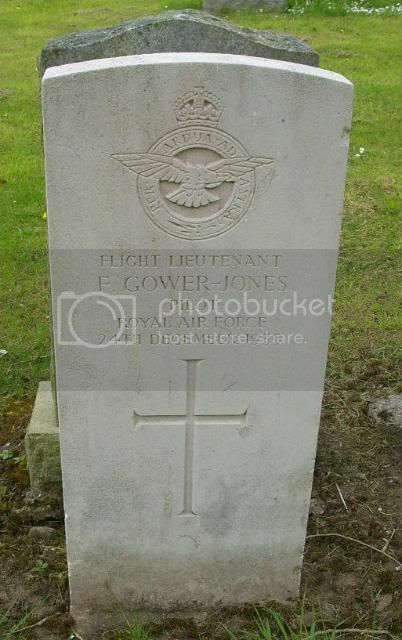 There are no WWI CWGC stones, but there are a few family ones. Additional information: Son of Thomas and Mary Ritchie Adams, of Toronto, Ontario, Canada. Grave/Memorial Reference: Sec. B. Grave 561. 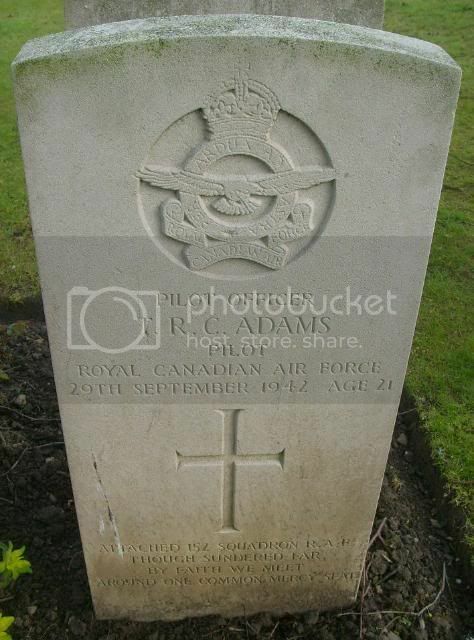 Pilot Officer T R C Adams Pilot Royal Canadian Air Force 29th September 1942 aged 21. "Though sundered far, by faith we meet, around one common mercy seat"
Additional information: Son of George Herbert and Aminta Hannah Austin, of Lomas, Argentine. Grave/Memorial Reference: Sec. B. Joint grave 559. 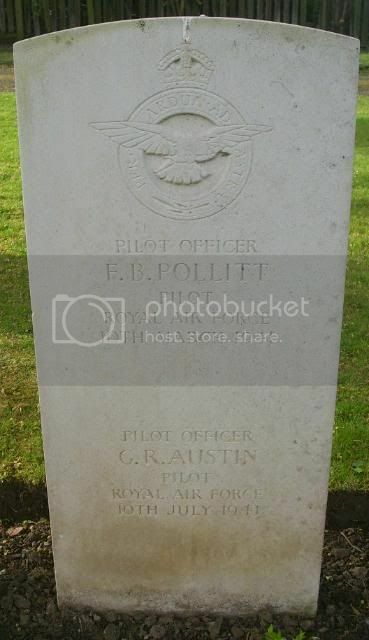 Pilot Officer F B Pollitt Pilot RAF 10th March 1941. 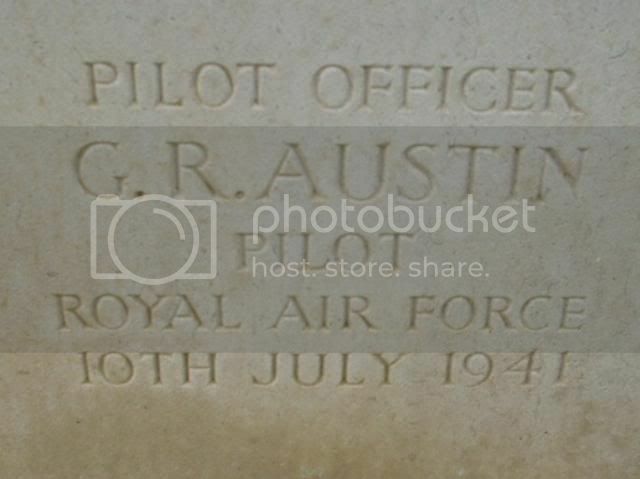 Pilot Officer G R Austin Pilot RAF 10th July 1941. 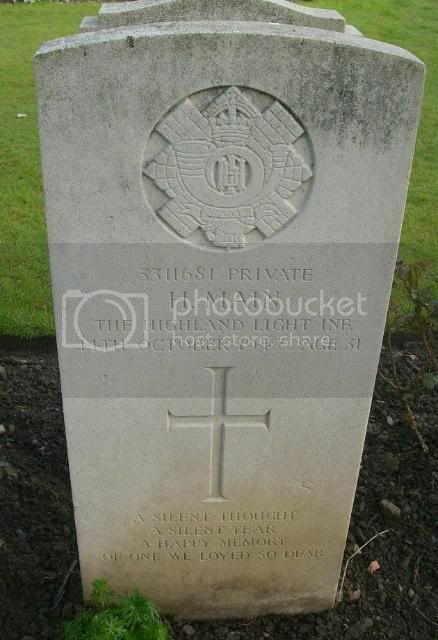 Additional information: Son of William and Ann Prowse Cooper Scott Beevers, of Blackhall, Edinburgh. Grave/Memorial Reference: Sec. E. Grave 842. 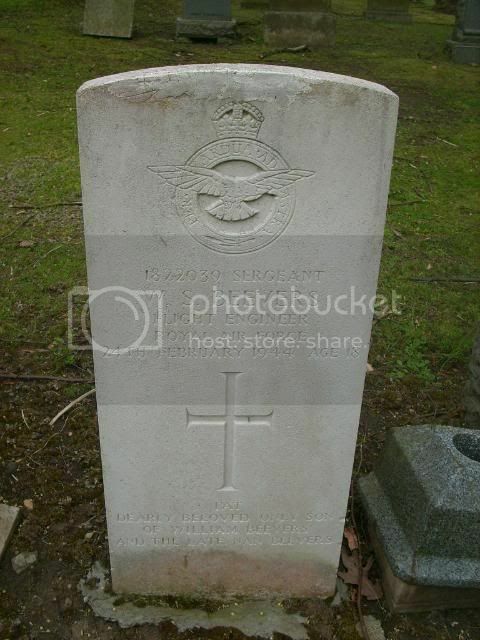 1822039 Sergeant W S Beevers Flight Engineer RAF 24th February 1944 aged 18. Pat dearly beloved only son of Wm Beevers and the late Nan Beevers. Additional information: Son of John and Elizabeth McIntyre Blackhall, of Edinburgh. Grave/Memorial Reference: Sec. E. Grave 595. 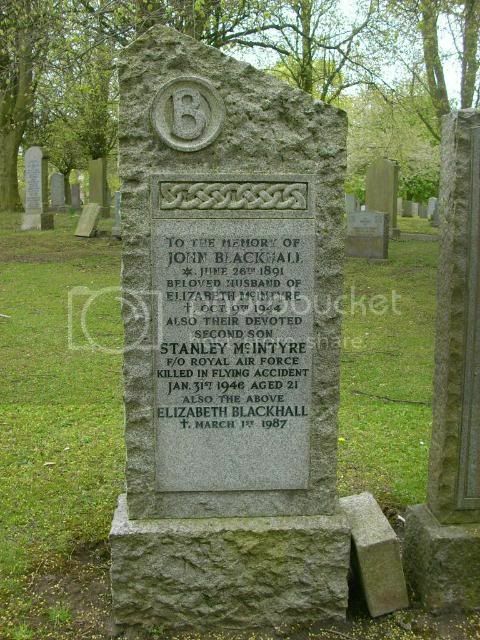 To the memory of John Blackhall *June 26th 1891 beloved husband of Elizabeth McIntyre + Oct 9th 1944 also their devoted 2nd son Stanley McIntyre F/O RAF killed in flying accident Jan 31st 1946 aged 21 also the above Elizabeth Blackhall + March 1st 1987. Additional information: Son of James Francis and Vera Gertrude Brady, of Echuca, Victoria, Australia. Grave/Memorial Reference: Sec. B. Grave 556. 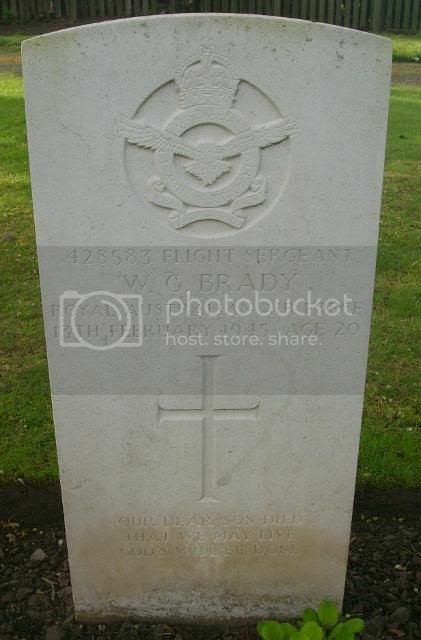 428583 Flight Sergeant W G Brady Royal Australian Air Force 13th February 1945 aged 20. "Our dear son died that we may live. God's will be done"
Additional information: Son of Maj. Douglas Buchanan and Elizabeth Buchanan, of Edinburgh. Grave/Memorial Reference: Sec. B. Grave 1571. 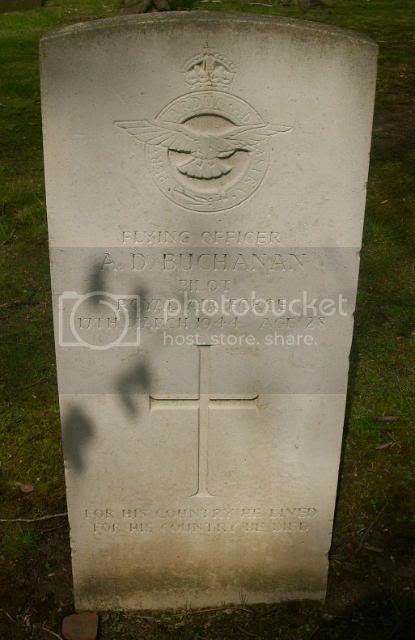 Flying Officer A D Buchanan Pilot RAF 17th March 1944 aged 28. 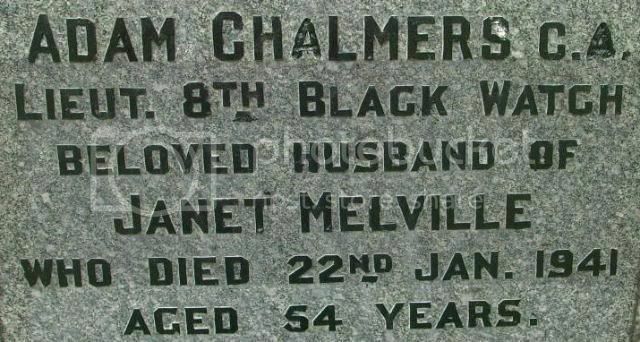 "For his country he lived, for his country he died"
Additional information: Son of Adam and Elizabeth Robertson Chalmers; husband of Janet Chalmers, of Kelso, Roxburghshire. Grave/Memorial Reference: Sec. E. Grave 772. 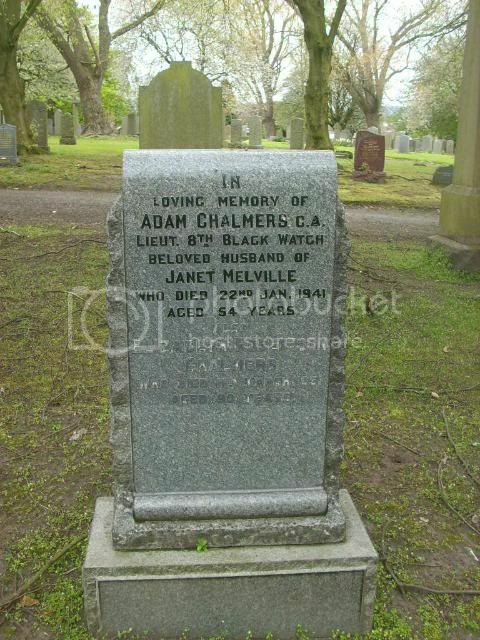 In loving memory of Adam Chalmers C.A Lieutenant 8th Black Watch beloved husband of Janet Melville who died 22nd January 1941 aged 54 also Elizabeth Robertson Chalmers who died 11th March 1951 aged 90. Additional information: Son of Walter and Priscilla Cole; husband of Aileen Cole, of Clonmel, Co. Tipperary, Irish Republic. Grave/Memorial Reference: Sec. B. Grave 562. Lieut. 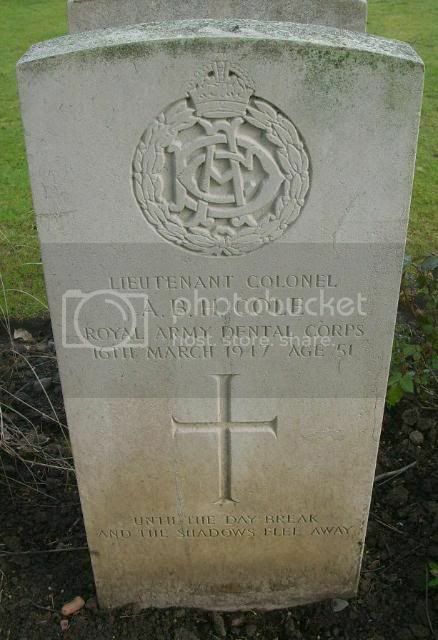 Col A B H Cole Royal Dental Corps 16th March 1947 aged 51. 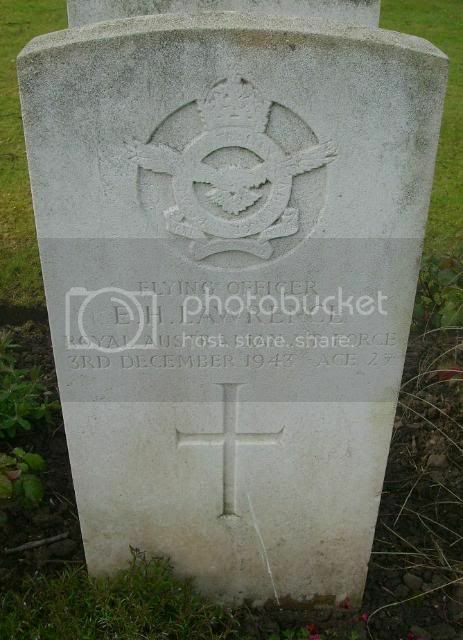 Additional information: Husband of Elizabeth Prowde Corbett, of Henlow, Bedfordshire. Grave/Memorial Reference: Sec. B. Grave 555. 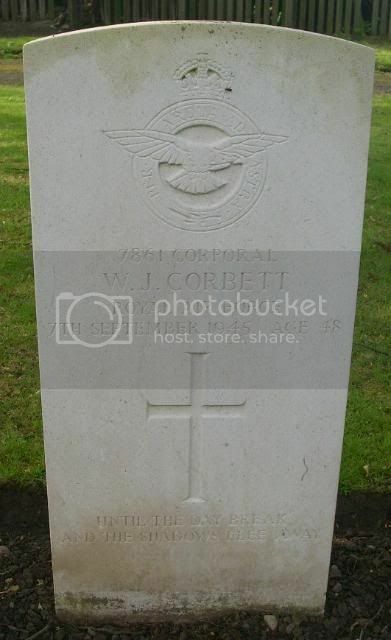 7861 Corporal W J Corbett RAF 7th September 1945 aged 48. "Until the day break and shadows flee away"
Additional information: Son of Edwin Frederick and Margaret Currie, of Edinburgh; husband of Muriel Elizabeth Alexander Currie, of Edinburgh. B.Com. (Edin.). Grave/Memorial Reference: Sec. B. Grave 560. 1004888 Aircraftman 2nd Cl W S Currie B.Com. 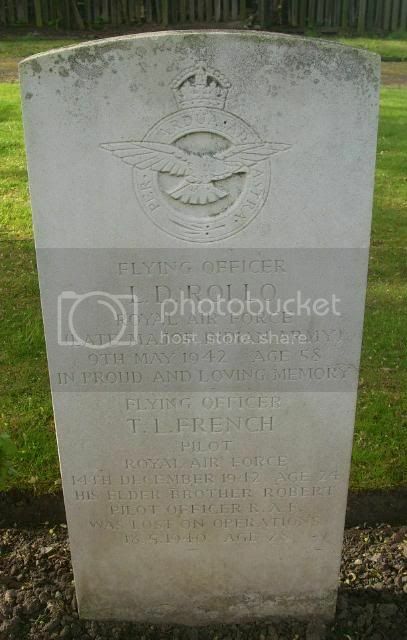 RAF 8th September 1940 aged 38. 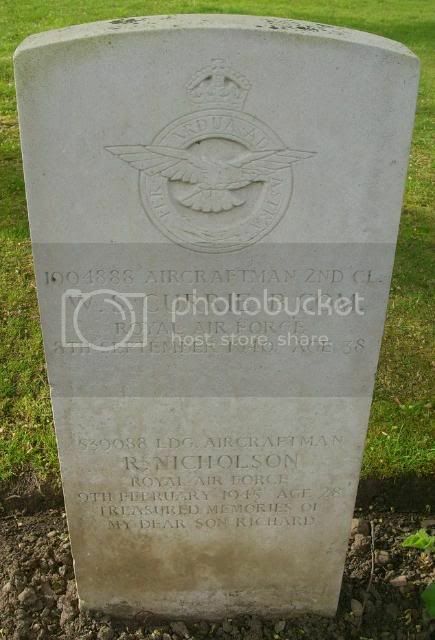 539088 Ldg Aircraftman R Nicholson RAF 9th February 1945 aged 28. "Treasured memories of my dear son Richard". Additional information: Son of Sidney and Euphemia Lennox-French. 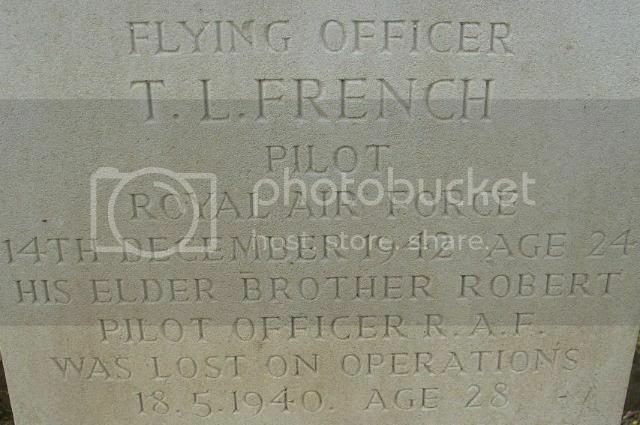 His brother Thomas Lennox-French (serving as FRENCH) also died on service. Grave/Memorial Reference: Sec. G. Grave 950. Additional information: Son of William Manners Clark Lawrence and Agnes Louisa Lawrence, of Hurstville, New South Wales; husband of Eldred Helen Bernice Lawrence, of Gymea Bay, New South Wales, Australia. Grave/Memorial Reference: Sec. B. Grave 682. Additional information: Son of John Wilson Main and of Sarah Main (nee McQueen), of Glasgow; husband of Edith Margaret Main (nee Barrett). Grave/Memorial Reference: Sec. B. Grave 685. "A silent thought, A silent tear, A happy memory of one we loved so dear"